1. Disney CEO Bob Iger has agreed to head up the venture to build a new stadium in Southern California for the Oakland Raiders and the San Diego Chargers, the AP reports (via SFGate). 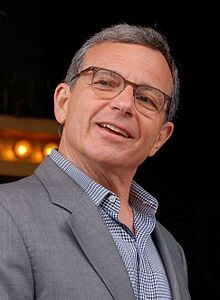 The hiring of Iger could give the $1.7 billion Carson stadium plan a big boost – especially considering the fact that Disney owns ESPN. Oakland Mayor Libby Schaaf is in New York City today to make a pitch to the NFL to keep the Raiders in Oakland. 2. The State of California has already brought in about $1 billion more in tax revenues than projected for the 2015-16 fiscal year, Capital Public Radio reports (h/t Rough & Tumble), citing a new report by the Legislative Analyst’s Office. October was a particularly good month for tax revenues: The state pulled in about $200 million more than projected. 3. State oil and gas regulators have been inundated with requests from the public for the same type detailed analysis of their properties as Governor Jerry Brown received, the Chron reports. Brown has been under fire for directing regulators to conduct a 51-page study of the possibility of drilling for oil on his family ranch. The state maintains that information given to Brown was routine – so members of the public are asking for the same thing. 4. California’s decision to give plug-in vehicles and hybrid cars access to freeway carpool lanes has helped boost their sales in the state, the LA Times$ reports, citing a new UCLA study. 5. Federal and state officials unveiled a sweeping plan to allow large solar installations and wind farms on 400,000 acres of publicly owned desert land in Southern California – while also placing 5 million acres off limits to such development, the Chron reports. Environmentalists are mostly praising the decision. 6. And several Sierra ski resorts opened earlier than usual this year after some areas received up to two feet of snow recently, thereby raising hopes that the last four years of poor skiing conditions are over, the Chron reports.